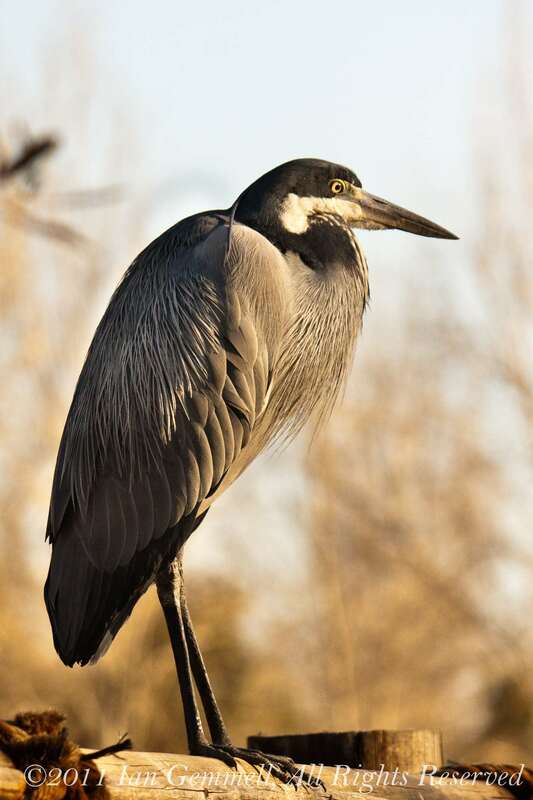 The Black-headed Heron (Ardea melanocephala) is a wading bird of the heron family Ardeidae, common throughout much of sub-Saharan Africa and Madagascar. It often feeds in shallow water, spearing fish, or frogs with its long, sharp bill. It will also hunt well away from water, taking large insects, small mammals, and birds. It will wait motionless for prey, or slowly stalk its victim. This one was to be found at the Montecasino Bird Gardens near Fourways, Johannesburg.